Fox News chief political anchor Bret Baier and his family were hospitalized over the weekend following a “major” car accident while vacationing in Montana. According to Mediaite, Baier and his family had been already released from the hospital at the time of Colbert’s announcement. Bret and his wife Amy have two children, Paul and Daniel. He shared a photo from their ski trip Saturday. 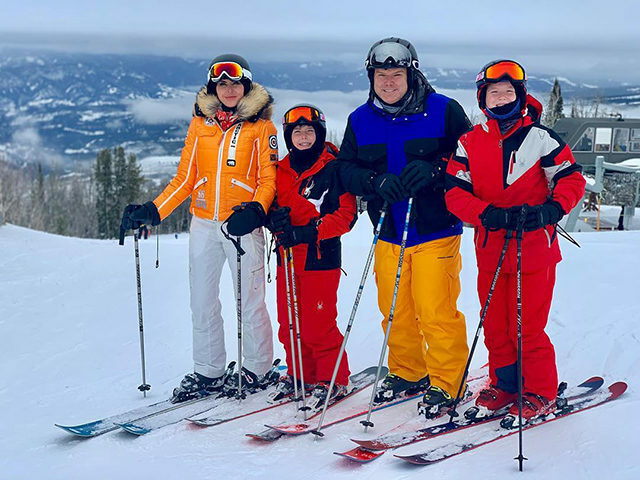 “A great day skiing with the fam #blessed #montana #yc,” the caption read. Baier currently serves as Fox News’s chief political anchor and anchor of Special Report with Bret Baier, which airs weeknights from 6:00-7:00 p.m. EST. He joined the network in 1998 as the first reporter in the Atlanta bureau. He is the author of The New York Times bestselling book Special Heart: A Journey of Faith, Hope, Courage and Love and Three Days in Moscow: Ronald Reagan and the Fall of the Soviet Empire.